BELIZE CITY, Mon. 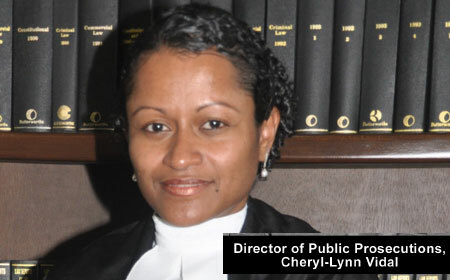 June 5, 2017–The Director of Public Prosecutions, Cheryl-Lynn Vidal, “expressed surprise” at the outcome of the preliminary inquiry in the case of Dorian Pakeman, who was charged with causing death by careless conduct, nine months after the March 30, 2016 traffic accident that claimed the life of Dean Dawson, 45, a mechanic of Gardenia, in the Belize District. In an interview with Amandala on Friday, June 2, DPP Vidal said that the first time she heard that the case against Pakeman was struck out at the Magistrate’s Court preliminary inquiry level, was when she saw it on social media on the day the decision was made. “Rule 8.11of the Criminal Procedure Rule requires that if the defense intends to contest the preliminary inquiry, to make submissions that there is no evidence to commit the defendant to the Supreme Court, advanced notice must be given to the prosecution. We at the DPP’s office received absolutely no such notice,” DPP Vidal said. “I requested and obtained a written report from the police prosecutor and he indicated as well that no notice was given to him or the court. 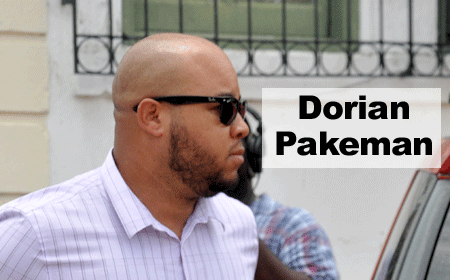 The police prosecutor was caught by surprise, according to him, by Mr. Neal (Bryan Neal, Pakeman’s attorney) walking into the court and making submissions that there was insufficient evidence,” DPP Vidal explained. “Why at that stage the police prosecutor did not seek to have the matter adjourned so that he could inform us of the position or at the very least have the matter stood down for a few minutes so that we could have dealt with it. It is still a mystery to me,” DPP Vidal said. “I learned through other sources that the police prosecutor offered no response to the argument, and that I found to be shocking,” DPP Vidal said. “We were never going to rely on the traces of cocaine and the fact that some individual indicated in some letter that she did not want to proceed with the case. The law is very clear; it is the Director of Public Prosecutions, and not a witness nor a victim in a case that decides if she wants to continue with a case. Furthermore, this individual, who has been paid $45,000, has nothing to do with the prosecution of a criminal case before the court,” she said. The DPP also took issue with the Senior Magistrate Sharon Fraser’s assertion that there is no need to clog up the court system by sending the case to the Supreme Court, when the relatives themselves do not want to proceed with the matter. “Those are not matters that should factor into the consideration of whether or not the matter should be going forward. The only issue is whether there is evidence, and anybody can see there must be speeding that led to this man’s death,” DPP Vidal said. “This matter was mismanaged from the outset. I sat in a meeting with the investigating officer and other officers from that division and I was in utter amazement at some of the things that were being said in that meeting in the way police would look at fatalities when they arose out of traffic accidents. The way that they thought traffic accidents should be investigated as opposed to other kinds of criminal offences. The lackadaisical manner they think investigations should proceed,” she commented. “It was also amazing to me that an investigating officer in a matter would take such little pride in an investigation, and I go on the record in saying that and I have even put it in writing to them that her conduct concerns me greatly in this matter,” DPP Vidal said. 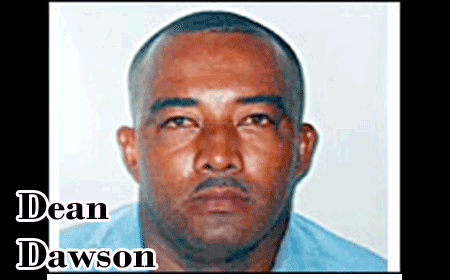 “I need to speak to the common-law wife of Dawson to determine if we are going to go forward with this matter, because she is a witness in this case,” DPP Vidal said. DPP Vidal said that it was a paper committal and therefore no one from her office needed to have attended court, because normally, they do not attend court for preliminary inquiries that are paper committals.